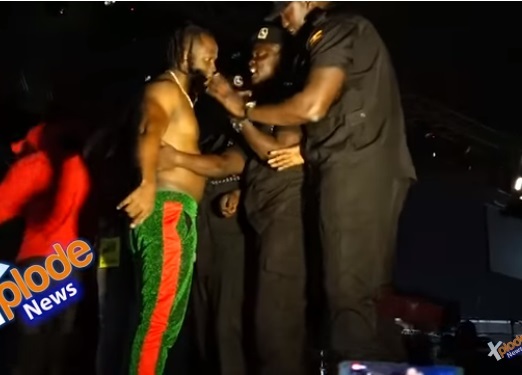 Sunday, September 2, 2018 - Controversial Ugandan singer and Museveni’s chief sycophant, Bebe Cool, had to cut short his performance after irate fans booed him and started throwing bottles on stage. The fans were protesting against Bebe Cool’s support for Museveni’s dictatorial regime. The singer was caught on camera fighting cops who were trying to save him from irate fans. He wanted to deal with the fans one on one.